Diploma in Mechanical Engineering. Huge Job Opportunities for Mechanical Engineering Students. Trying to link up with the fast paced industrial revolution, people are hooked up with the state of the art technologies. With the new technologies anything can be achieved with ease and comfort. These days diploma is a gifted course which helps in gaining access to higher graduations and can be acquired online too. What is a diploma in mechanical engineering? When taking a look into the period, of course it is a three year full time course that educates students on the basics to become a successful mechanical engineer. This course will educate the state of the art technologies and skills for diplomats. The course also opens up in detail about meaning for mechanical engineering. This course applies the principles of physics and material science for design, development, analysis, and maintenance of mechanical systems. Production of machineries by means of kinematics and thermodynamics is the role of mechanical engineering. The industrial revolution is created with mechanical engineering. There are few eligibility conditions for getting enrolled into the course. The candidates should have completed tenth class certificate courses. English, science and mathematics are the main subjects to be completed during the course of study. Mechanical engineers possess the capability to design and develop machines from gadgets to boats. The other courses included in mechanical engineering are knowledge of energy, robotics, combustion, fluid mechanics, and manufacturing processes. 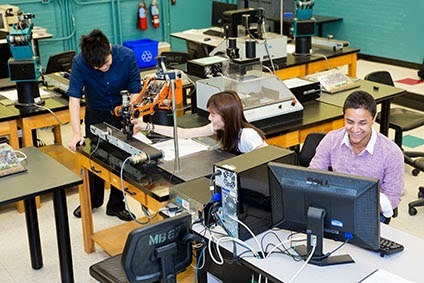 Principles of material science and physics are applied by mechanical students in creation, design, maintenance and analysis of mechanical systems. Diploma in mechanical engineering provides quality training to meet the real work situation, whether its production or manufacturing. This program is mainly intended to enhance quality and productivity in production and manufacturing industries. This program offers a wide range of occupational opportunities and stands to be an evergreen stream. Government sectors like BHEL, BEL, and many other industries open up offers for many diploma graduates. There are many industries specialized in manufacturing and production who welcome diploma in mechanical engineering students for job opportunities. Power plant projects require mechanical engineers for a variety of tasks. The course has an enormous growth and provides a wide range of opportunities all the time. For the ones who desire to get admitted into engineering courses can also do so, by entering as lateral entry. Moreover, additional course, like CADD adds more scope to excel as draughts men for construction and power plant purposes. Mechanical engineers are more likely called for the marine stream of job opportunities. There is a wide scope from a diploma in mechanical engineers. Run a research online and you will get updated with the various openings available for mechanical diplomats. The evergreen subject has opened for all batches passed out and yet to be passed. There are students who get confused in picking the right course, where they can choose a diploma in mechanical engineering as the perfect course. Almost all universities offer the course. Running through online sites can help one gain entry into these diploma courses at the right time. Grab the opportunity and without second thought one can get enrolled for this course for a bright future. 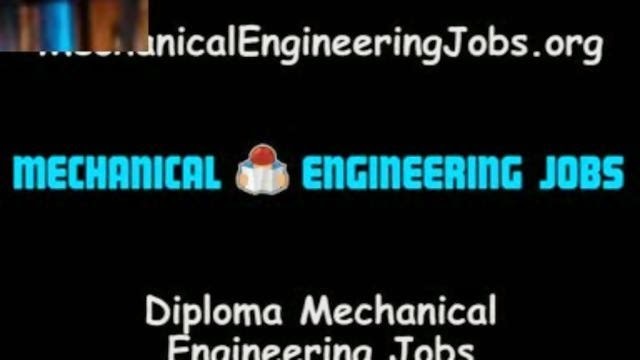 Kindly post your replay for "Diploma in Mechanical Engineering."